Between the victory for socialists in the 1982 election and Franco’s death, seven years earlier, Spain was in the quagmire of transition (La Transición) between a fascist dictatorship and democracy. Alberto Rodriquez’s (he co-wrote and directed) police procedural serial killer thriller uses this time to investigate what is was like to be stuck between the two worlds. The film starts with a particular time, 20 September 1980, when Eta (the Basque nationalist organisation) had killed four civil guards; TV footage shows us a crowd making fascist salutes. No doubt those who ‘did all right’ under Franco, and were without moral compunction, did not want change; particularly if they actively supported repressive policies. Mismatched cops Juan (Javier Gutiérrez), an ex-fascist, and Pedro (Raúl Arévalo), a democrat unhappy with rate of progress away from Francoism, are thrown together in an Andalucian backwater to investigate the crimes. The extraordinary aerial shots (see above) of the title sequence give an other worldly feel to the place which, the cops soon find, works to its own rules. However Pedro notes it’s the same everywhere, meaning the forces of reaction are very strong. If the narrative is sometimes creaky, the grotesquerie of the serial killings is never explained, the performances and cinematography more than make up for any failings. Although female characters are mostly victims, that was surely true to the time when machismo meant women was firmly planted in their ‘place’. Indeed, the murdered young women all had dreams of leaving the stagnant backwater. After the death of Franco, Spain institutionalised ‘forgetting’ about the civil war as a way of forcing reconciliation (Hugo Blick’s brilliant TV serial Black Earth Rising, UK 2018, dealt with the same issue in Rwanda). When a socialist government comes to power this gets overturned in an attempt to confront the truth of the past before being revoked by the conservatives (what are they afraid of?). Currently, the past is being dug up (literally in the case of graves) again and films like Marshland are crucial in reminding us about the past so we can try to ensure mistakes are not repeated. Goldstone is a stand alone sequel to Mystery Road (Australia, 2013) which was spun off into a TV serial this year. Written, directed and photographed by Ivan Sen, Goldstone is a gripping thriller making me keen to see his other work. Aaron Pedersen plays an indigenous detective, Jay, investigating a missing Chinese girl in the Outback. This particular place, as the place’s name suggests, is an expanding gold mine. Goldstone, however, is not somewhere most would like to visit as most of the buildings are prefabs and the local mayor, chillingly played by Jacki Weaver (above), keeps a corrupt grip to ensure the land is thoroughly exploited. Pedersen’s superb as the alcoholic and traumatised maverick. When talking to ‘white folk’ he averts his eyes as if ‘knowing his place’ but, of course, he is our protagonist hero who does the right thing. As this excellent review puts it, the film draws on the Western and Jay is a version Eastwood’s Man with No Name character. Although we have the satisfaction of an action finale, it’s the conversations Jay has during his investigation that are most fascinating particularly with Weaver’s monstrous mayor. Her dead eyes convey her heartless soul whilst she smilingly distributes apple pies; it’s a brilliant performance. David Wenham is good too, wearing shorts and pulled up socks, as the mine manager who needs the mayor to bring out his full corruption. In the posting about The Sugarland Express I mentioned how, in the early ’70s, the Hollywood studios were not afraid to back innovative films (though this was more through desperation than a love of art); The French Connection is another example of what happens when talented directors get to call the shots. In this case, William Friedkin, who won a Oscar (not necessarily a sign of brilliance) for this film which was a box office hit. He followed up, two years later, with The Exorcist; he was on a roll. I hadn’t seen the film for some time and am delighted to report it stands up well 44 years after its release. It’s justly famous chase sequence is still absolutely gripping. The use of sound is very striking, there’s no music and although we can see Hackman’s Popeye Doyle screaming ‘Get out of the way!’, or some such, through the windscreen we can only hear the car’s horn and squealing tyres. The tension of the chase, intercut with the train on which his quarry is seeking to escape, does not need music to boost the audience’s feelings. 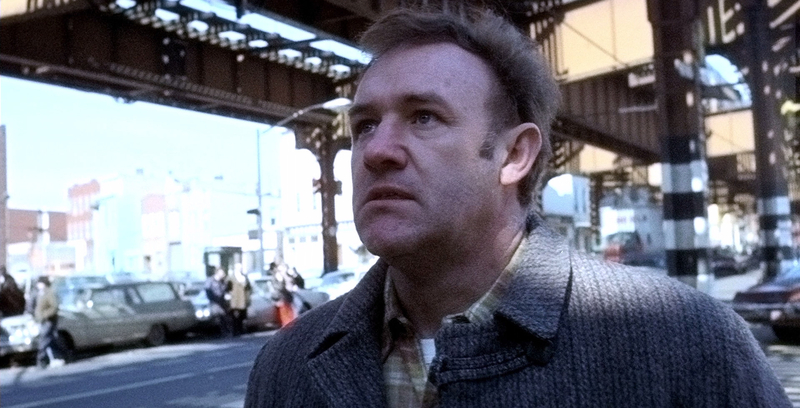 The use of locations also stands out: a wintry and grotty New York. Clearly they’d chosen the shittiest places to film: these certainly weren’t ‘good old days’. I suspect the TV series Kojak (1973-8) took its cue from the film; at the time it seemed the epitome of realism. The cast is excellent but the film is driven by Gene Hackman, possibly his greatest role in a great career (also awarded an Oscar). He is a total scumbag but wedded to getting the ‘bad guy’. I hope I can catch the sequel again; a film that, when I saw it in the early ’80s, I thought to be even better than the original. It’s dangerous to say that Hollywood doesn’t make films like this anymore because fogeyism is never a good form of criticism but I suspect it’s true. I recently saw the well regarded (independently produced) Nightcrawler (US, 2014), where Jake Gyllenhaal puts in a great performance as an ambulance chasing cameraman, but I was unimpressed. Maybe it is my cynicism, I wasn’t surprised by the film’s satire as it’s obvious ‘if it bleeds it leads’ is the tabloid TV philosophy, as I didn’t think the film was showing me anything I didn’t know (Riz Ahmed’s also great in it by the way). I’m not knocking it, at least it was trying to say something and it is worth seeing. I’ve only just caught up with this television series broadcast last year on BBC1 and winner of the Best Drama BAFTA. It’s probably the best TV series I’ve ever seen. The ironic title takes in the beautiful scenery around Sowerby Bridge and Hebden Bridge in West Yorkshire and uses it as a setting for severe dysfunction at both a social, the amount of drug abuse, and personal level, as Sarah Lancashire’s policewoman Catherine Cawood battles both. Lancashire’s brilliant performance, amongst the many that serve to make this series so good, shows us exterior toughness, as s cop on the beat, as well as interior turmoil of a mother who’s lost a daughter and dealing with a difficult grandchild she has, more or less, adopted. It works well as a cop drama too with Cawood’s maverick tendencies railing against her superiors’ corruption, superciliousness and ineptitude. 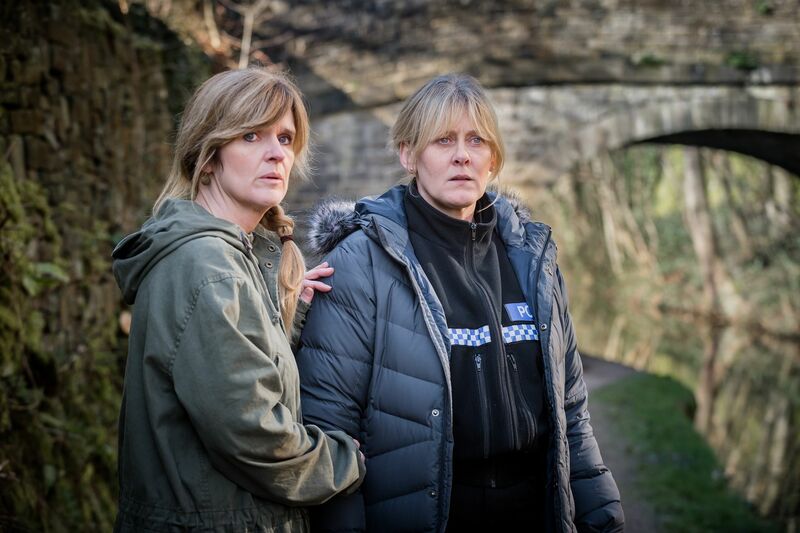 Writer Sally Wainwright brilliantly ‘derails’ the cop narrative, to an extent, in episode four (I’m working hard not to give anything away), to switch the emphasis to the lead’s personal demons. The ‘cop’ genre and melodrama meld brilliantly to ensure there’s no sense we are getting the cop’s home life as a way of engaging female audiences whilst the action is for the men. As defiant female characters go, Catherine Cawood is amongst the best. Although gender isn’t particularly the issue as we are simply watching a strong, human being dealing with crises. In her representation of the victim of a kidnapping Wainwright is careful to show both the consequences of the experience and the strength required to overcome the trauma. How can season two match this?! It concerns me, as it should, that I can’t remember whether I’ve seen the first season of Jed Mecurio’s ‘corrupt cop’ series. That’s why I blog; lest I forget. I didn’t blog about it so I probably didn’t see it but I should have done. Series two was extremely good, up until the final episode. They, reportedly, had to add a scene to the finished final episode to make it clear what had happened; I’m still vague. And the documentary style, ‘what happened to them afterwards captions’ added to the impression that the episode was rushed; which it was. Enough cavilling, it was an excellent contribution to the genre and is a worthy successor to Between the Lines (1992-4) in focusing on the cops that watch the cops. 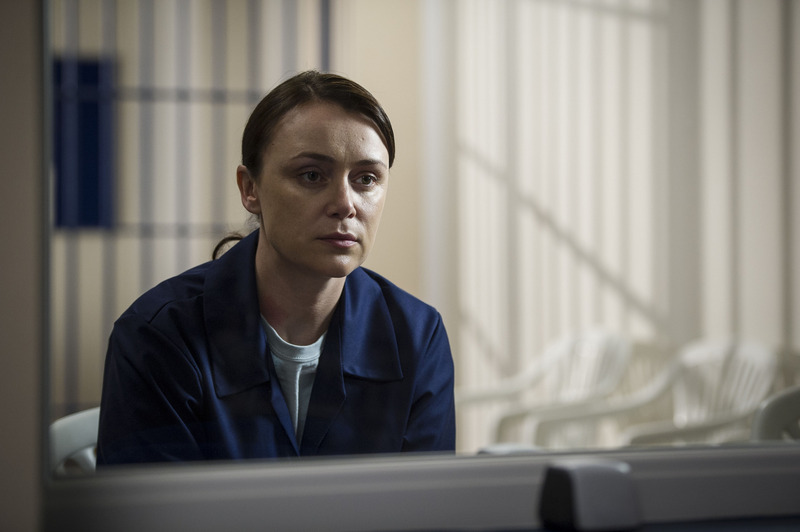 The cast is peerless, with special emphasis on Keeley Hawes who looks as bad as she feels. She was dramatically convincing; actors are too often shot for glamour even in desperate circumstances. I saw a cinema trailer for Channel 4’s forthcoming period drama New Worlds and I’m unconvinced already as the protagonists all possessed modern ‘glamour’. Between the Lines lost the plot in series three, but there are plenty of dangling ends of dramatic tension hanging around in In the Line of Duty to suggest that it will be a success. High end drama is enjoying a renaissance on television possibly fired by US series and/or the habit of binge-watching on DVD. Whatever the reason it’s good to see ambitious, strongly-cast, long-form drama creating what’s been called the ‘third golden age of television’. 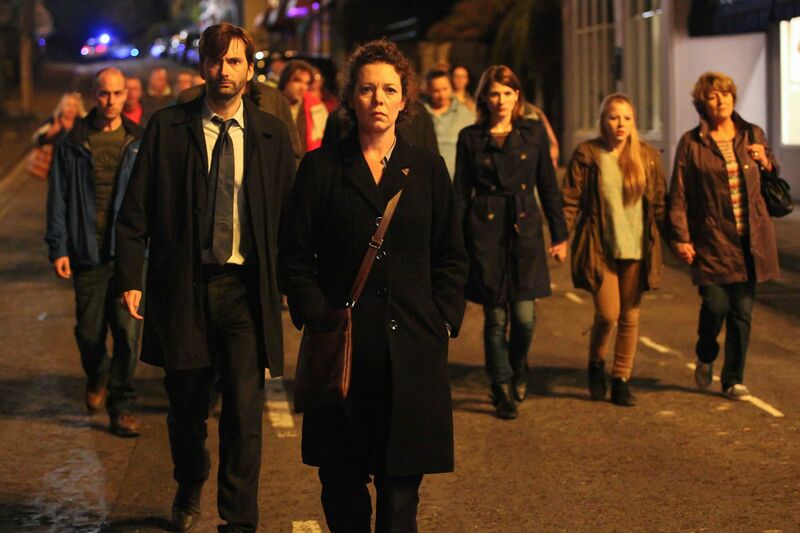 Broadchurch is particularly successful in its structure, over eight episodes, as it manages to engage audiences – who know the great reveal won’t be until the last programme – throughout with its ‘red herrings’. It does this by convincingly elaborating upon the suspects’ backstories and even the most unlikeable (Pauline Quirke’s Susan Wright) are humanised. The serial deals with vigilantism, the role of the gutter press, the effect of grief and small town community dynamics amongst other things. Stand out amongst the performers are Olivia Colman and Jodie Whitaker, the fact they stand out amongst a superb ensemble cast is high praise. It’s good to see Vicky McClure too, who manages to be the hard-edged journalist with a heart. I can’t be sure whether direction on television has become more cinematic, as I haven’t watched enough TV over the last 20 years, but I suspect it has. The regular cutaways to the churning ocean (Broadchurch is on the coast) was an apt, and beautiful, metaphor for the turmoil of the community. Despite the ‘bum’ note of giving credence to a ‘psychic’ this was a gripping and satisfying serial.